Is owning a home pushing you beyond your financial limit? Are the repairs too expensive, the location of your house unsatisfying or you would simply like to travel the world instead of owning a home, Salt Lake Homes For Cash will buy your home. We buy homes in West Jordan at a competitive price and cover closing costs. The majority of renters provide landlords with peace of mind knowing that their property will be taken care of. However, there are a select few that are the opposite and cause nothing but trouble. If your renters were terrible and your house is in rough shape, we will buy your home. We don’t care what condition, price or location it is in, we will still buy your home and give you a fair offer. Complete the form on this page for more information. Whether you filed bankruptcy to prevent a foreclosure on your home, the repossession of a car or wage garnishments, filing bankruptcy can help you get a fresh start and rebuild your credit. However, sometimes filing bankruptcy is not enough to help you afford your house. 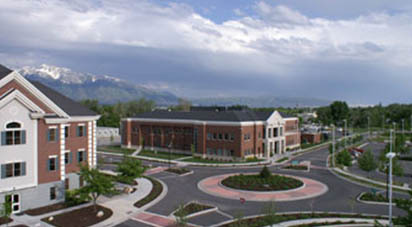 Salt Lake Homes For Cash will buy your house quickly and help you get back on the right track. Behind on Mortgage Payments in West Jordan, UT. Did you know that most loans or even service providers have a grace period to help you pay your bill? For some this is just what they need to keep on track, but for others, even a grace period won’t help you afford your payments. If you need to sell you house to avoid bankruptcy or foreclosure, we buy homes! Contact Salt Lakes Homes For Cash today to learn more about our no obligation offers! Divorce can be difficult and cause you to confuse your feelings with the facts. Try to be as dispassionate as possible and make major decisions such as property division based on your best interest. However, if you made the mistake of taking the home out out of revenge and can no longer afford it, Salt Lake Homes For Cash will buy your home. Complete the form to the right for more information. It is true that property that passes through a living trust or death will can avoid probate, but you should know that there may be no actual value in the house and leave you with a bigger hassle than anything. If you need to sell your estate quickly, contact Salt Lake Homes For Cash. We buy homes for cash. Job transfers often come with the sudden need to sell your house before starting your new position. More often than not, you will have to move so soon that selling your house is a problem. Save yourself the stress of selling your home and contact Salt Lake Homes For Cash. We buy homes quickly and pay you cash! Selling your home takes a ton of work. It means putting in effort to get your home ready to sell, pricing it right and even marketing the sell. But if all of this effort is not paying off and your listing is expiring, contact Salt Lake Homes FOr Cash today! We buy homes in West Jordan at a fair price and even cover your closing fees. It is devastating to think that you may lose your home to foreclosure and natural to look for help. Sadly, there are a lot of scams that many desperate homeowners can find themselves in the middle of. It is important to do your homework and understand your rights through the Federal Trade Commission and Mortgage Assistance Relief Services (MARS) Rules. We understand how important it is to follow the laws and want to help you understand how we can help you avoid foreclosure. We will buy your house and help you recover from your financial strains. Contact us today to learn more.